O Magazine’s creative director Adam Glassman had the honor of announcing the annual list on the award-winning show Monday. One gift that stood out is the Footnanny brand, founded by Chicago native Gloria L. Williams. The limited gift set consists of three 8 ounce jars of foot cream in the fragrances of ginger for Momma; peach for Sister; and pink grapefruit for Auntie. Each jar is packed with a special blend of essential oils, shea butter, cocoa butter, vitamin A and vitamin E.
Oprah Winfrey, former First Lady Michelle Obama, Stedman Graham, Gayle King, P Diddy, Julia Roberts, Jessica Simpson, Sela Ward, and Maria Shriver to name a few. 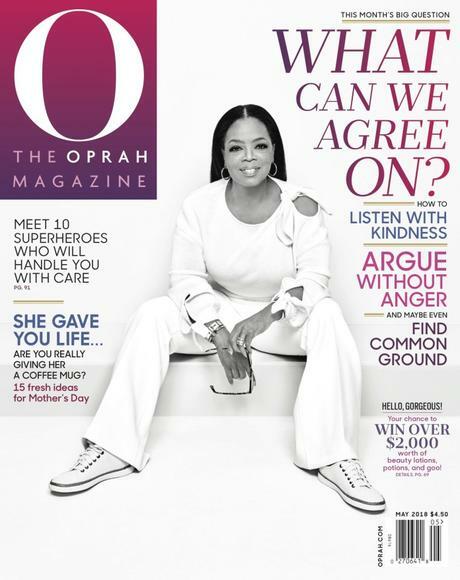 The complete list of the 2018 Mothe’s Day gift ideas pick up the May Issue of O’ Magazine.